Facilities Management (FM) is the organizational function which integrates people, place and process within the built environment with the purpose of improving the quality of life of people and the productivity of the core business. The term “Facility” (pl. facilities) means something that is built, installed or established to serve a purpose, which, in general, is every “Tangible asset that supports an organization.” Examples are real estate property, buildings, technical infrastructure (HVAC), lighting, transportation, IT-services, furniture, and other user-specific equipment and appliances. 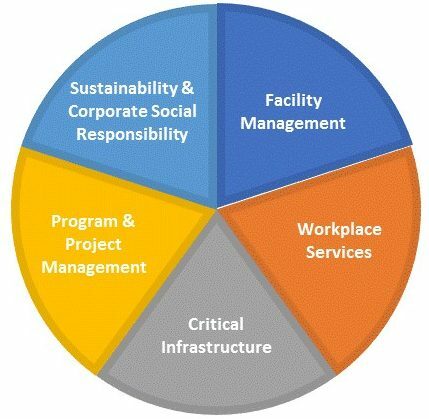 These definitions cover the fundamentals of facility management. At Abraxas, we take our services a step further to emphasize “Sustainable FM”. So, what do we mean by Sustainable FM? In conjunction with our Energy Management services, our goal is to ensure your building systems are performing at their optimal energy efficiency and then ensure that optimal efficiency is maintained over time. One analogy would be buying a new car and then never get it serviced. Without regular service, parts begin to wear and things get out of alignment. Failures begin to occur more frequently as the neglect takes its toll over time. Your building is fundamentally no different; it’s just much bigger and significantly more expensive to operate. A brand new, well-performing building will start to degrade without a plan to maintain its optimal performance over time. Sustainability & Corporate Social Responsibility. We will elaborate further on each of these categories – please use the navigation menu to the left for additional information. For many companies, facilities may be one of their highest costs – often right behind labor. Beyond the hard costs, your facilities enable your core business strategies to deliver products & services, effectively compete within your industry, and ultimately attract and retain your customers. 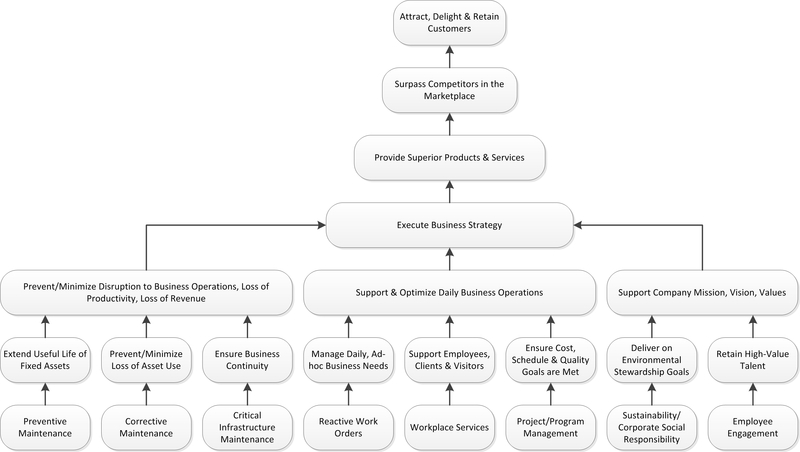 The diagram below draws a line from each core FM service to its primary business benefit and alignment with business strategies. Let Abraxas show you how we can optimize your building performance yielding energy cost savings, and then help maintain those savings over time. Our Sustainable FM services will also help minimize disruption to your business operations, optimize daily business operations and support your mission, vision and values.